Abigail has been exploring clay since an early age. During both her primary and secondary education she was taught by enthusiastic & knowledgeable art teachers who encouraged working in 3D using clay. She studied BA(Hons) 3D Design, Wood, Metal, Ceramics & Glass at Manchester Metropolitan University and specialised in Ceramics and Wood. After university, ceramics became her main field of personal practice. She is also an experienced qualified teacher and taught Art & Design at secondary schools for 15 years. During this time her own artistic practice took a back seat to teaching and raising a family. In 2013 she made the bold decision to move away from mainstream teaching and concentrate on her own work and in 2015, ‘Abigail Leach Ceramics’ was born. She now produces a range of domestic ware with a contemporary twist on traditional Slipware. 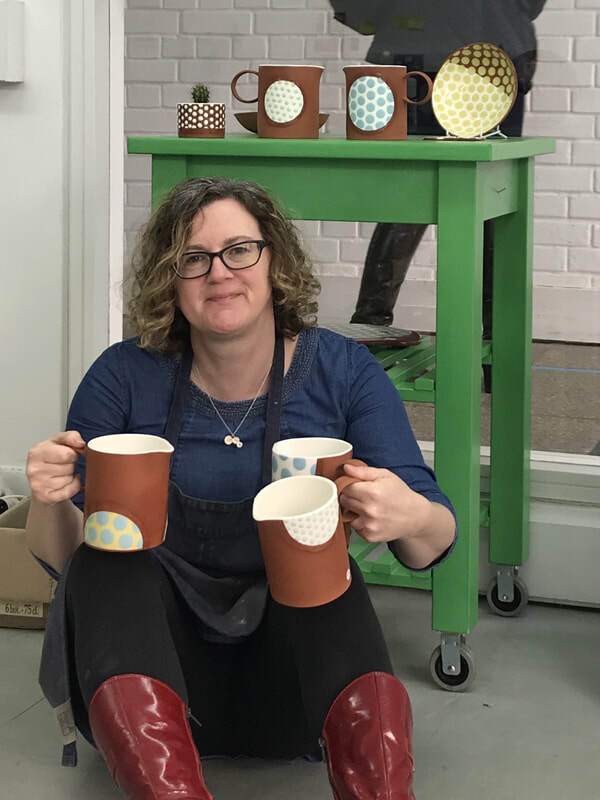 In recent years, Abigail has held the post of Ceramicist-in-Residence at New Brewery Arts in Cirencester, sharing her time between her own studio work, teaching regular ceramics/pottery weekly classes and running the pottery. ​Abigail currently has a studio space at The Clay Loft while still teaching at New Brewery Arts as well as exhibiting her work at national craft shows, galleries and craft centres around the country.